"You can do it, and you will!" 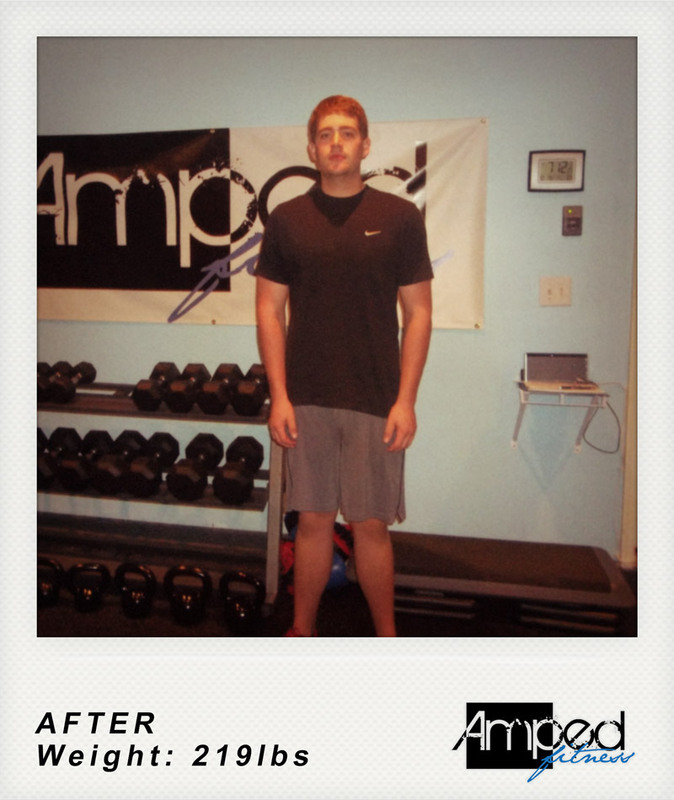 There are not enough words to describe how much Amped Fitness has changed my life. 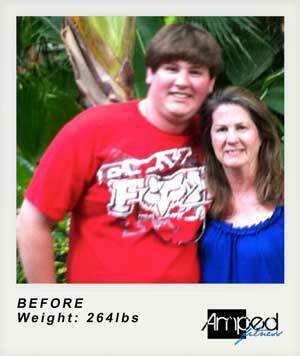 I struggled with weight loss my whole life, and tipped the scales at my max at 366 pounds. 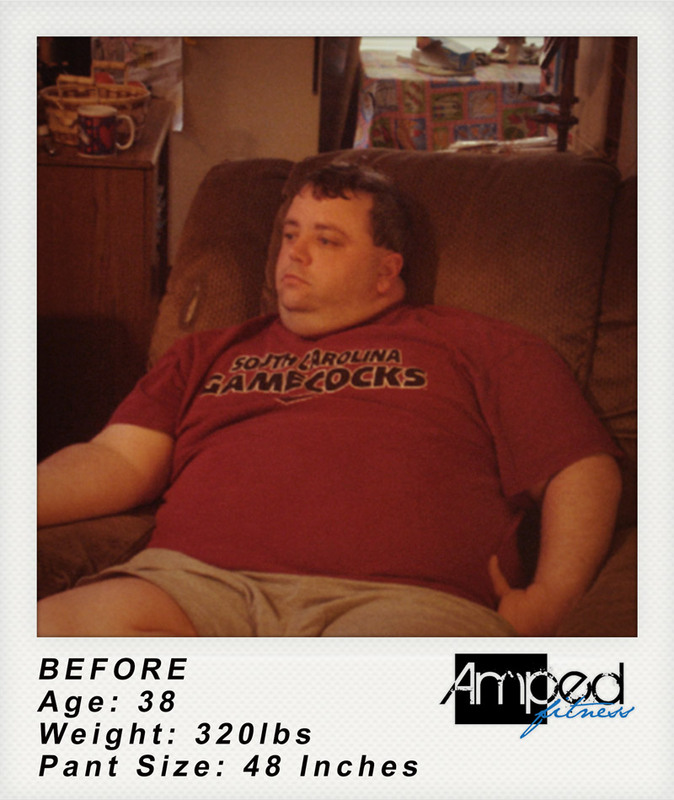 When I hooked up with Amped Fitness I started at 350 pounds and was slowly eating myself to an early grave or diabetes. Jp was great starting me off on a workout routine and offering diet advice that helped me to go from adjusting my life stye for the better to completely changing it. 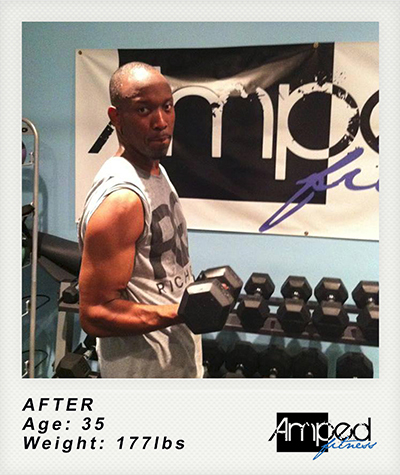 Jp is not only a great trainer but he will be a great friend once you choose to go with Amped Fitness. Not only is he there to train you for your workout, but he is available whenever you have a training tip when you aren’t with him, or whenever you want some diet advice. Jp truly works the hardest working trainer that I’ve been with and never clocks out. He is available whenever you have a question regarding your diet/ exercise and knows exactly what to do to inspire you. Take all your cliched thoughts of what a personal trainer is and leave them at the door. Jp will motivate you but will never patronize nor give up on you. 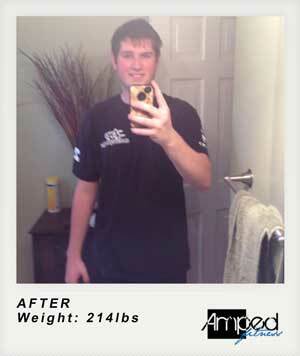 He has the same goal as you do and he makes sure that the weight you lose stays off permanently. I don’t like to think where I would be without Jp and he does all this at a very affordable price. 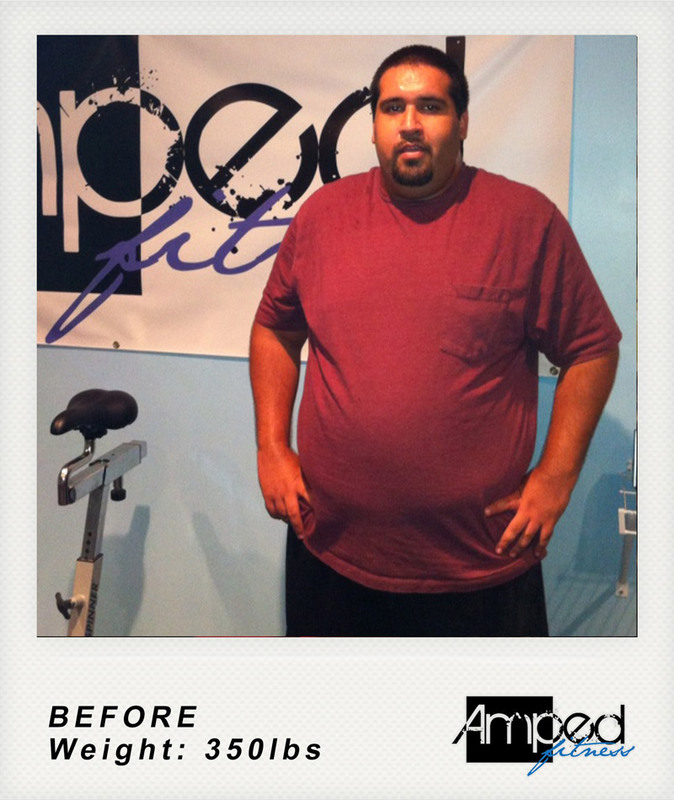 He truly enjoys inspiring others to exercise and eat well and he is by far the best trainer around. 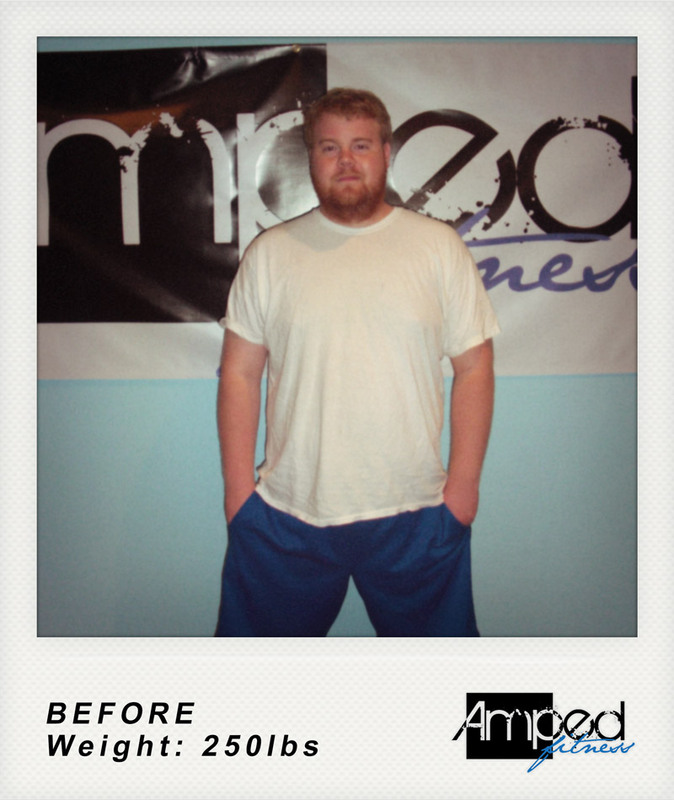 “Besides having a great personal trainer, one of the perks of training with Amped Fitness is you workout in a private setting on your schedule, so you can forget the hassles of waiting for equipment or motivating yourself to “make it” to the gym. Scheduling is flexible–come early or late–just get there. “Years ago, when my life was falling apart around me, there was one constant and that was JP. I told him I wanted to get stronger and he said “no problem”. And he was right. Every time I thought I couldn’t do one more rep, he said, “Yes you can.” Every time I thought I couldn’t lift something, he again said, “Yes you can.” When I started to waiver he told me to keep going. Thirty pounds down and stronger than I’d ever been in my life, I thought maybe I could believe him. 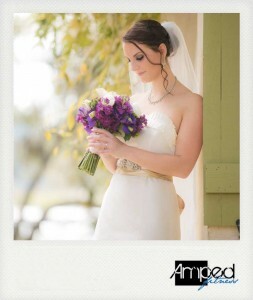 “I love Amped Fitness! I started training with JP in September of 2012 and am now in my second 3 month plan. Major weight loss wasn’t my goal, as I was around my healthy weight, but that doesn’t mean I was in shape or happy about how I felt. After moving to Charleston a year ago and giving in to the temptations of Southern cooking, my healthy San Francisco lifestyle of running and eating consciously was pushed to the wayside. Although I started running again, I felt something was missing. I wanted to be stronger, more defined, and more motivated. 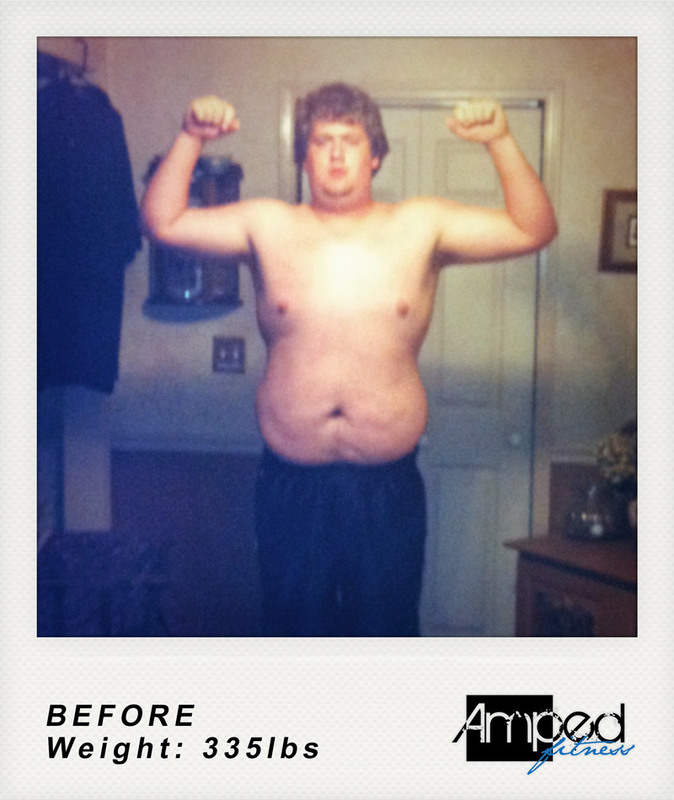 I wanted this to become part of my life and not just a short term goal to “look good. My work with JP has been truly transformational inside and out and I look forward to every session. He is extremely knowledgeable, open, and honest about what needs to be done for you to achieve your goals. The work isn’t easy (what an understatement) and I often drop an “F” bomb when I’m on my second set of Bulgarian lunges, but like JP says “If it were easy, everyone would be doing it”. He is a great motivator and always a text away if I ever have a question or need a little support. My biggest reward, besides the killer definition in my arms and legs, is that I am so much stronger physically and mentally. Challenges are accepted, not excusable. There is no more “I couldn’t do that”, now I think “Heck yeah I can do that!”. It doesn’t mean I can do it right away, but I have that training mentality now. I have patience with myself that I never did. (When I first started doing kettle bell swings, I hated them! They were SO hard. Now, they’re still difficult, but my body and my brain sync up and get the job done and it feels amazing!) My running has improved tremendously and I am planning on running 3 races within the next four months. Like I said, this isn’t easy work, but if you’re determined to look and feel your best, there is no one I’d recommend more than JP to get you on that track. He is a genuine soul that just wants everyone to be their very best self. “I have been going to JP for 6 months, and I would recommend him to anyone who is looking for honest, knowledgeable motivation, real results, and a twist of fun. Back in the fall of 2012, I noticed that I had gained a little extra weight in the wrong places and began to feel bad about my body. I had tried the whole “going to the gym” thing in the past and, I’ll be honest, it didn’t work because I had no motivation to get up, get dressed, and drag myself to a place where I wasn’t familiar with anyone or any of the equipment. I am 5’2″ at 100 lbs., and wanted desperately to be more toned and strong without losing any significant weight. I found JP on the internet, and gave him a call. He responded incredibly promptly and really listened to me when I talked about what I wanted to do. I scheduled a free session just to try it out and, although it was hard and I was out of breath by the end, I actually felt good about myself. And I was hooked. 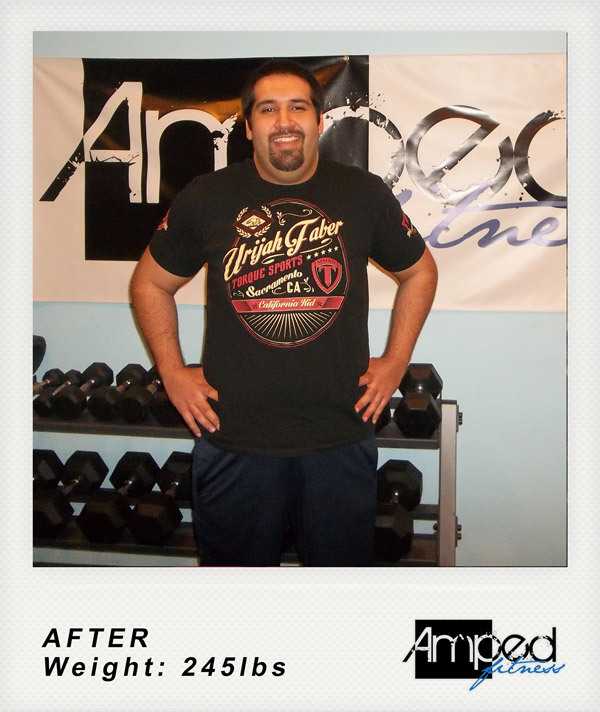 JP is incredibly knowledgeable when it comes to training and the body, and is honest with you. If your technique is off, he tells you. If he thinks you can handle more weight, he pushes you (without being overbearing). He knows when you need to hear that you’re doing a good job. On top of being a good motivator, he’s hilarious and reiterates that you’re both real people with real goals, but also with real lives and schedules and personalities. He is professional, but makes you feel comfortable. In the past six months, I have seen a significant change in my body. My legs are leaner (I finally have that little gap in between my thighs that I know a lot of women crave). My biceps, triceps, and back are toned without being “jacked’ looking. I actually feel, and am, stronger. I even sleep better and have more energy than if I just sat around my house all day. 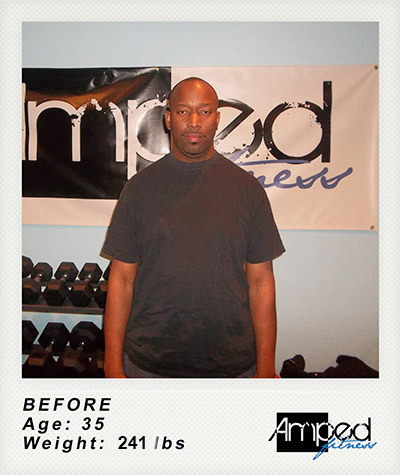 Amped Fitness is a great group. I was only in Charleston for the summer, but I worked with JP to cut my body fat by over 1% a month and to increase overall strength and endurance through a combination of enjoyable training sessions and a simple diet plan. I can now run faster and further than I have been able to in a few years and am excited to continue living the lifestyle that JP helped me get into again. 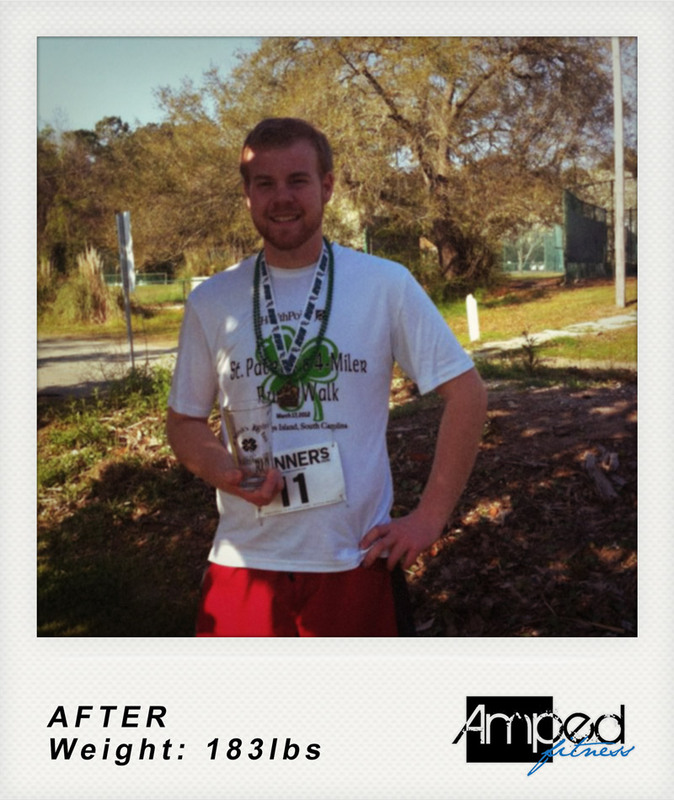 Thanks a million, Amped Fitness – you really know what you’re doing and I haven’t felt healthier! 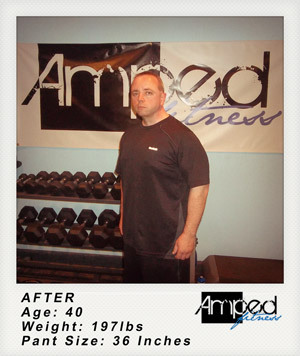 Amped Fitness. All rights reserved. Website design by TargetMarket Inc.